Sign up for my mailing list and I’ll send you offers twice a year in February and August for new releases at the best pricing all year. This bottling is a blend of barrels from Silvershot, Zenith and Bjornson, essentially everything that does not go into my limited production single vineyard bottlings. This year’s Eola-Amity Hills shows raspberries and lovely earthy notes, a touch darker in tone than my Ribbon Ridge bottling. Good density here for drinking now or cellaring several years. Eight barrels. This year’s Bjornson Vineyard bottling continues our string of lovely wines from this emerging site. Thin, red volcanic soils here give a wine with more pronounced fruit and structure, with stronger than average acidity due to afternoon coastal winds that cool the vineyard at the peak of the day’s heat. This wine is a mix of mostly Pommard clone co-fermented with 25% Wadenswil clone of Pinot noir, aged in older oak barrels and bottled unfiltered. Two barrels. Our .54 acre plot at Zenith is on a gentle south facing slope that was originally not planted in the 1980s because this area of the vineyard didn’t seem to have enough soil. Finally planted in 2002 to Pommard clone, this block produces a smaller than average yield of intensely flavored grapes, picked at moderate sugars for this warmer site. As with Bjornson, these grapes were picked on September 21, 2013, before the big rains we experienced at the end of September. Given a warm summer that tracked ahead of average all year, the fruit was just perfect and super clean at harvest, and we’re delighted with the balance of flavor and structure to enjoy now but also keep in the cellar for many years. Two barrels. As with our Ribbon Ridge AVA bottling in the fall, this blend includes all barrels produced from the Eola-Amity Hills AVA that did not make the cut for our single vineyard bottlings. Thus, this wine blends Crowley Station Vineyard with Zenith and Bjornson, including all the press wine, for a slightly softer, broad flavored wine for drinking over the next several years. 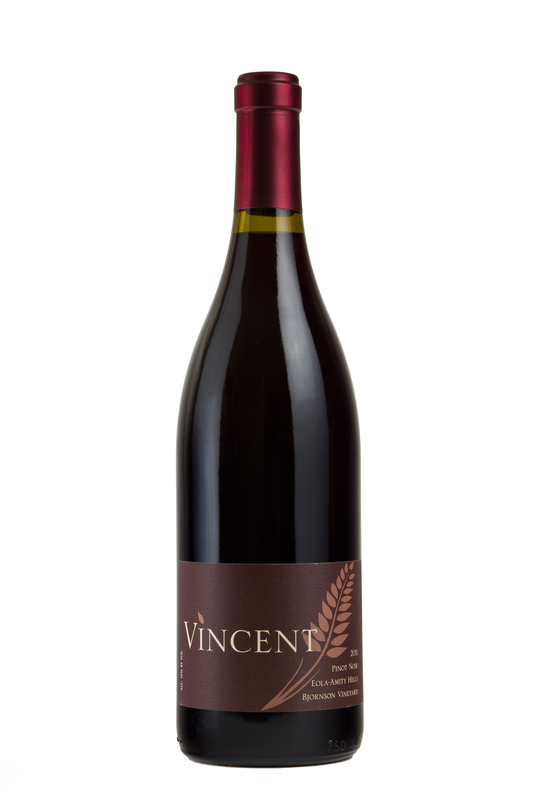 This fragrant, medium bodied wine shows all the bright fruit of the 2013 growing season tempered by end of season cool weather that allowed for ripeness at moderate sugar levels in the grapes. Nine barrels. This year’s Armstrong Vineyard bottling is a blend of three barrels from this Ribbon Ridge AVA location. Two of the barrels come from the lower section, all 115 clone of Pinot Noir, producing a richer, darker wine. The third barrel is all 667 clone, from higher in the vineyard, always more ethereal and red fruited at this vineyard. 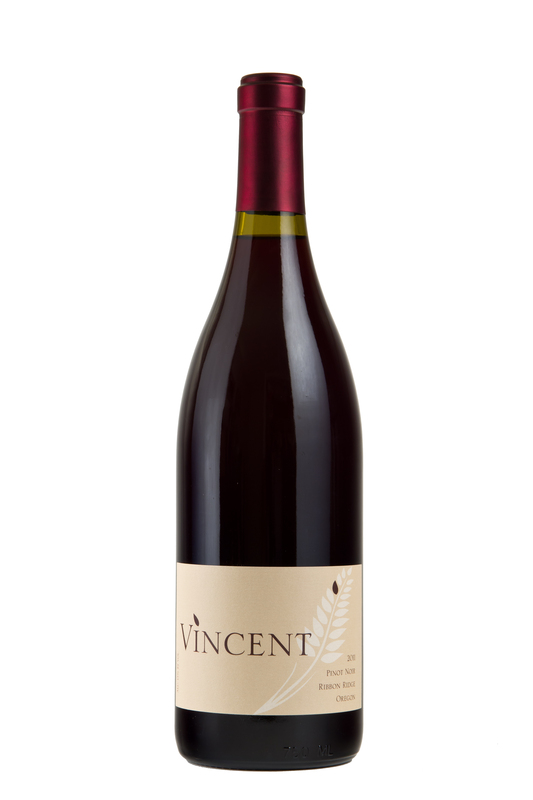 The blend makes the darkest wine of my 2013s, a transparent ruby color, full of spicy black cherry and briny olive notes, with cherry, cinnamon and black tea flavors and a juicy, lingering finish. Three barrels. My goal is wine made simply. I’m not trying to control every aspect of the process, and I’m not doing nothing and calling it “natural.” Wine is a human process, and my goal is making wines as simply as possible to show the grapes, the vintage and the place they came from. That’s where I’m coming from. No loads of new oak, no fancy tricks. Just a simple approach that I believe produces exceptional wines. 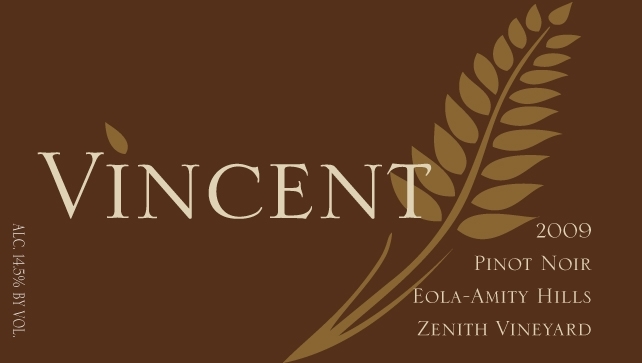 Winemaker Vincent Fritzsche has made wine for more than ten years, working at some of the best small wineries in the Willamette Valley along the way. 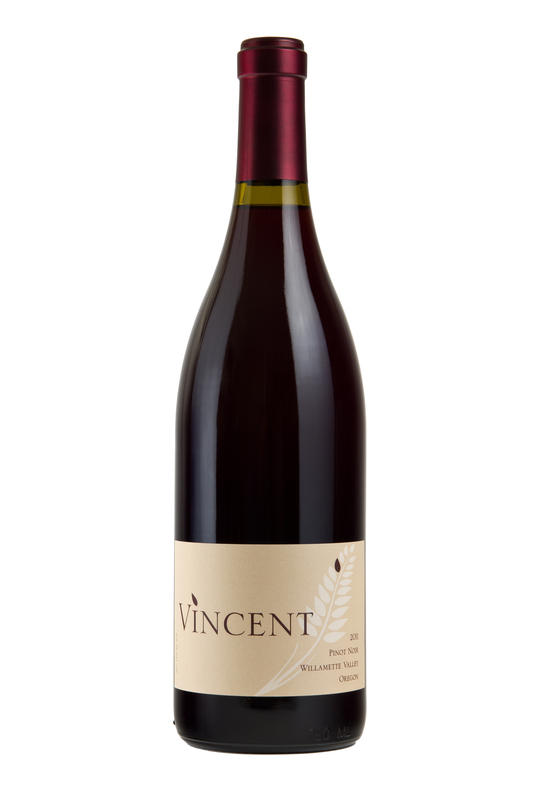 He launched Vincent Wine Company in 2009 after years of making wines in his garage in NE Portland. 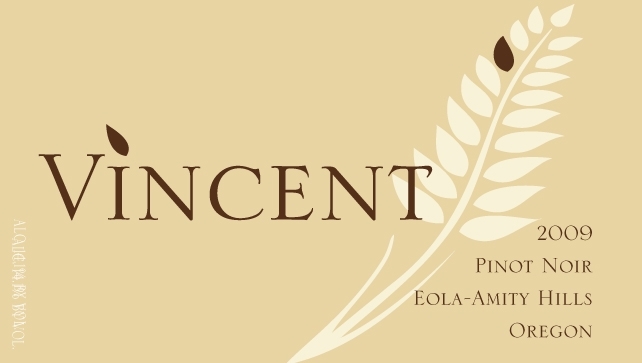 Vincent has focused exclusively on Pinot Noir until beginning to produce a small amount of Chardonnay in 2012 and Pinot Blanc in 2013.